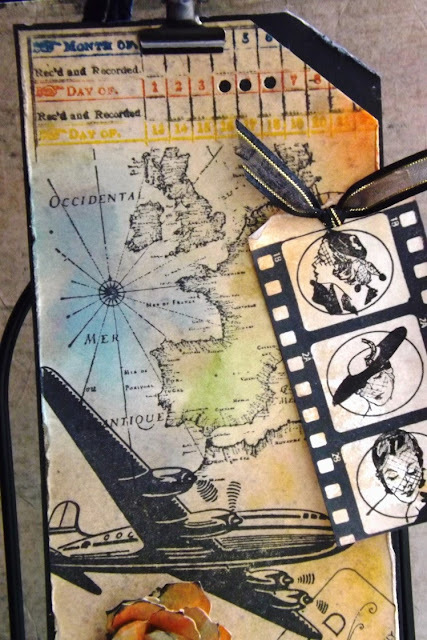 From Tim Holtz’s Blog August 03 2013. Thought I would give this tag a try. What caught my eye was the use of two brown tone ink colors that I thought would never work out as they both are pretty dark. He used Pumice Stone and Frayed Burlap Distress Stains, which I don’t have as of yet. at the soft color that came from these two together. 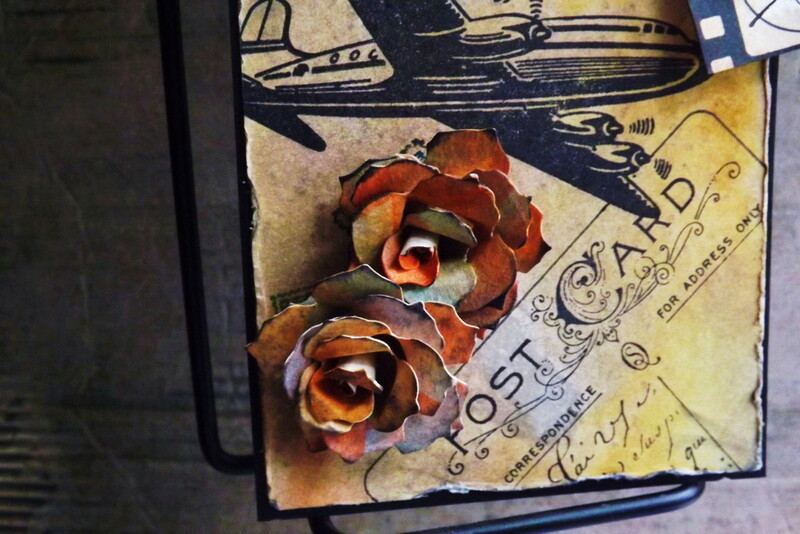 After playing with the inks and adding colors to the tag, thought I would cut up the second tag to make flowers from the Tattered Pinecone die. Well I’m pretty pleased with my self, as I have never been pleased with anything I have done with this die before. Good lesson learn (Stick With It). 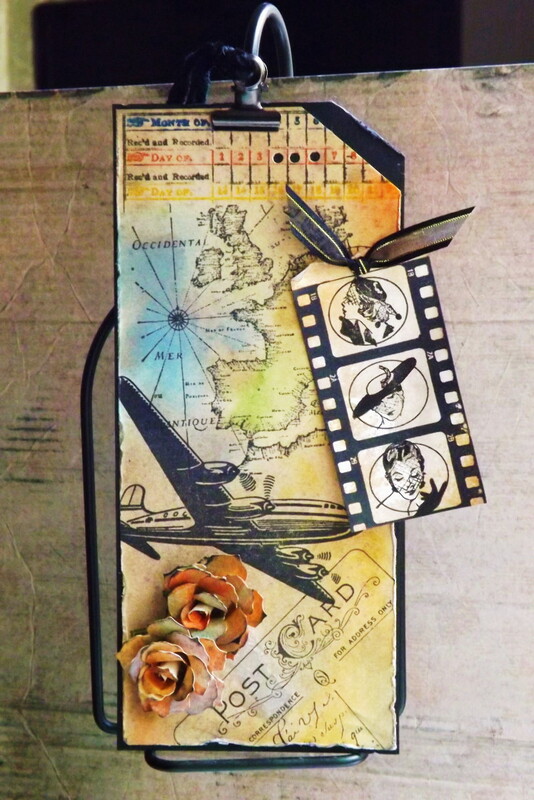 Stamp credits, Tim Holtz, Hero Arts, Crafty Secrets and Fiskars. Thanks for your time today, have a cool week-end. Oh I love your tag! Just beautiful! 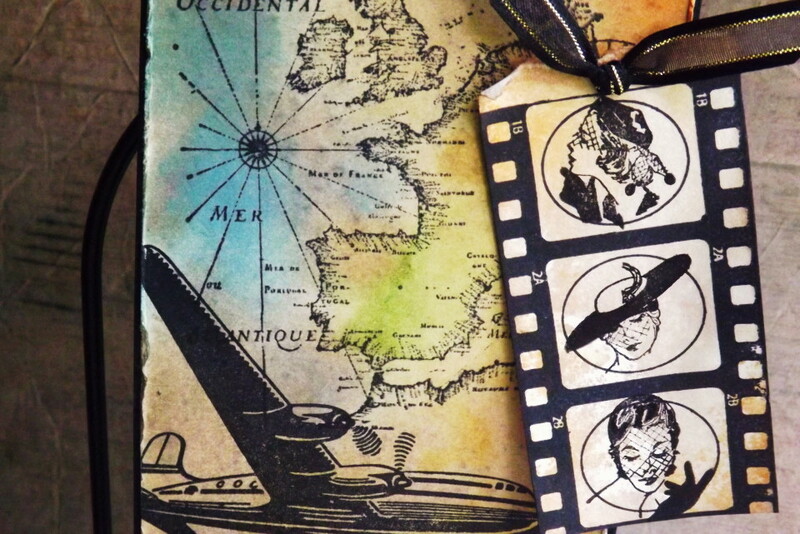 Terrific tag, love the stamping and colors! Awesome travel tag, Vada! 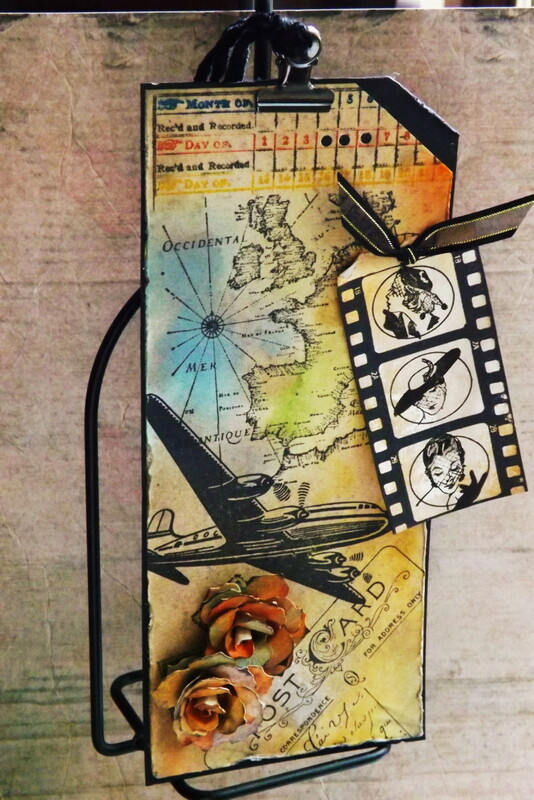 Love the added filmstrip and celebrity status!, so pretty! My will post tomorrow and I used the airplane as well! Hope all is going well, GF! Hugs! Oh you should link this up to Inspiration Journal as well!